We All Scream for Nicecream! If you are looking for the freshest handcrafted cup of ice cream possible, you must check out Nicecream at 726 King Street. It all comes to be by combining fresh, local grass-fed cream and local ingredients from nearby farms. 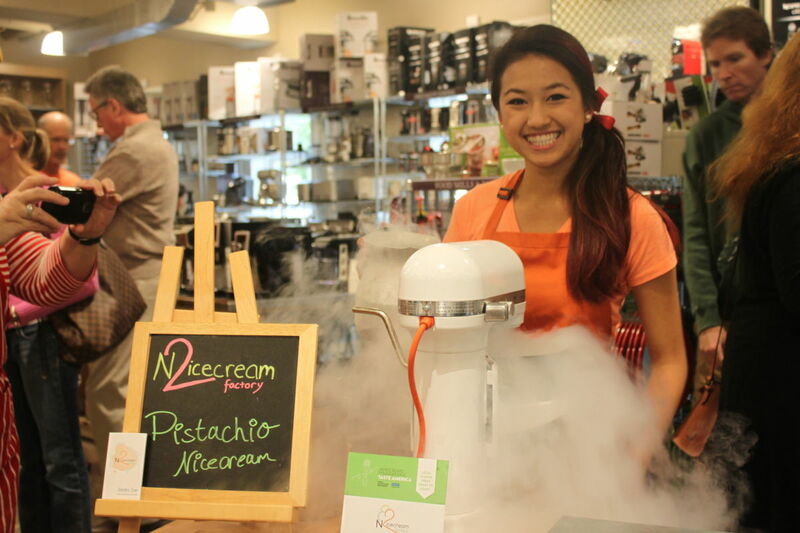 Then, using their freezing agent, liquid nitrogen, they freeze the ice cream before your eyes. Local farmers give products that yield the freshest ingredients and best flavors. That much we know but why liquid nitrogen? Liquid nitrogen freezes food within seconds and leaves no trace once evaporated. This freezing process makes smaller ice crystals, leaving a final product that is more dense and much creamier than ice cream that is produced in a traditional method. They also serve Swing’s Coffee and hand-crafted hot chocolate. Something for everyone! Next postLet’s Go Eat on the Patio!